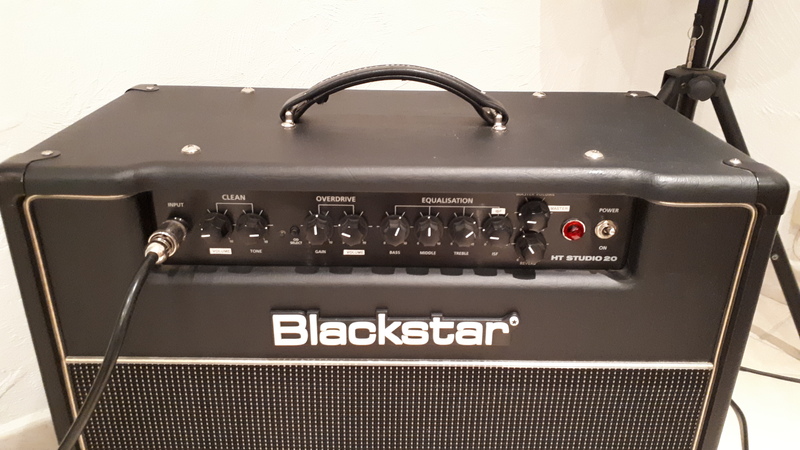 HT Studio 20H, Tube Guitar Amp Head from Blackstar Amplification in the HT-Venue series. I "only" give it an 8 (equivalent to "very good"), because some people might miss a true EQ on the clean channel (which doesn't bother me) and, especially, a stand-by option. Very easy to dial in, it's a true all-purpose amp. I have never used it onstage, but I think it can handle it pretty well, and it can also be used at home. As for the manual, yes, it's clear, but given the number of pots, it's not useful, unless you don't know this type of gear at all (in which case it comes in very handy). I think it suits almost all styles, provided that you have a good hi-gain pedal and maybe a delay. The overdrive is rather faint and moderate and the clean works well with pedals. There are many sound combinations and the effects loop is a great plus. I got this head recently for about $325 and I think it was a great deal! I didn't take the time to try any other models. On paper, this is what I needed and I'm satisfied with it. 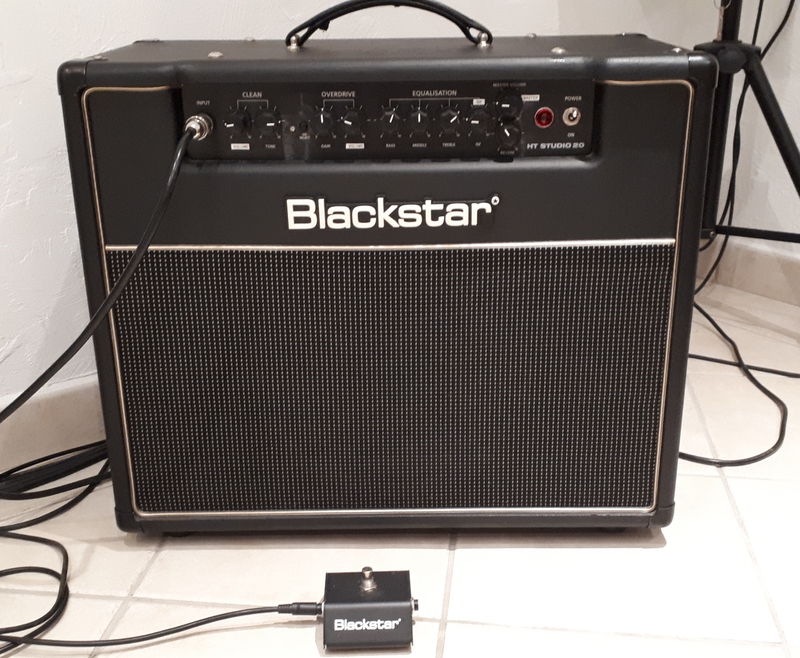 I play Red Hot, Zebrahead, Slipknot and it works very well, with a good distortion (blackstar ht dist-x, especially for slipknot), but I think it could also work for blues. One jack input with built-in FX loop. Possibility to connect 8- or 16-ohm speakers. 25 watts (tube) with a good amp reverb. The amp is very versatile, from blues to aggressive rock. It's perfect for my style of music, hard rock, rock, rock 'n' roll. To play metal I use a pedal to have more distortion. 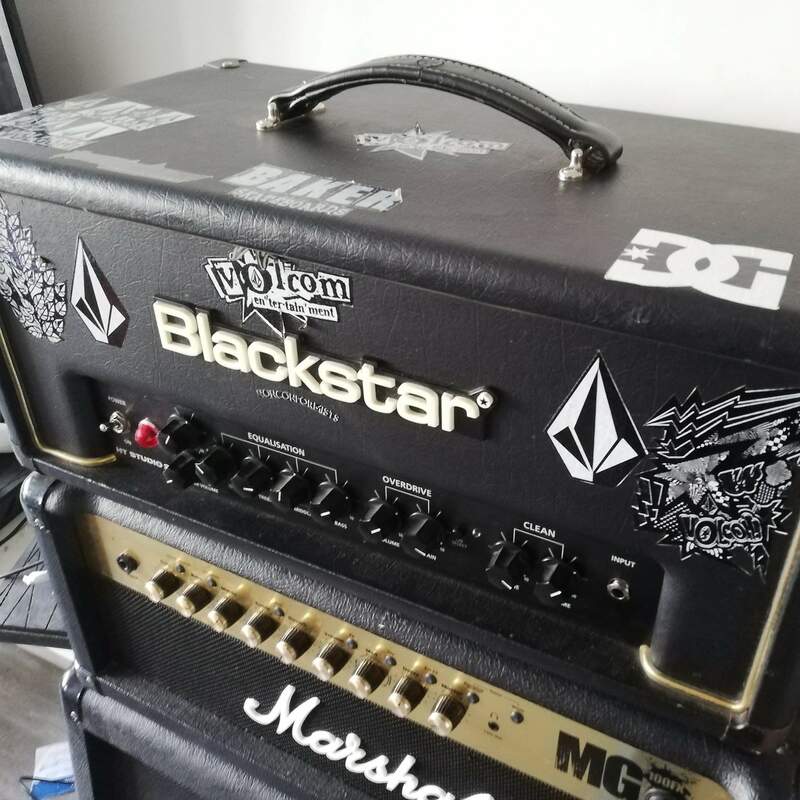 I've been using it for three years now, I tried some Vox and Marshall amps, but I like Blackstar because it's more of an underdog brand that deserves some serious attention. rempij's review"Awesome. Enhanced by an upgrade ...."
The sound has lost a bit of its grit after one year of use. I just bought a les paul tribute epiphone and I was a bit disappointed with the result, compared to when I tested it in the store. After doing some research on the Internet, I decided to retube the amp. A local store gave me some info and I went for it. The bias setting is automatic, you only need to have matched tubes for the power stage. I used two 12ax7 groove tube gold series for the preamp and two JJ El 34 power tubes. And the sound is now amazing, I rediscovered my amp. Warm sound with a crystal clear pinch for the fender strat, the overdrive is better defined and with a nice crunch with a low gain. Don't hesitate modifying the amp when you want to give the amp a new life. The re-tubing cost me $80 for the groove tubes and $65 for the JJs. ... Not cheap, but I don't regret it at all! In terms of controls it has bass treble middle gain volume and what not for the overdrive channel, while the clean channel only has a tone and a volume control. The amp head also features a reverb. One 8ohms and two 16ohms outputs. Dialing it in is more or less basic, the pots are really responsive, so you can start having a blast pretty quickly without breaking your head. The manual is a bit "useless" because the amp head is easy to use, I know it for a fact because I "browsed" it...And I put that in quotation marks because It's so easy to use that it takes a whole page to explain how the footswitch or the pots work. Is it easy to get a good sound out of it? I'd say yes, due to its simplicity, but if you want to get your own sound, you'll need to dig further into it. In my opinion, it's good for all styles, certainly due to that famous function called ISF: A small pot that you turn right to get an American sound and left to get a British sound. I find the sound is in itself fat enough, but it is so incredibly versatile and you can get such a vast array of sounds. You need some time to get to know all its functions, though. I got it very recently, almost two weeks ago. 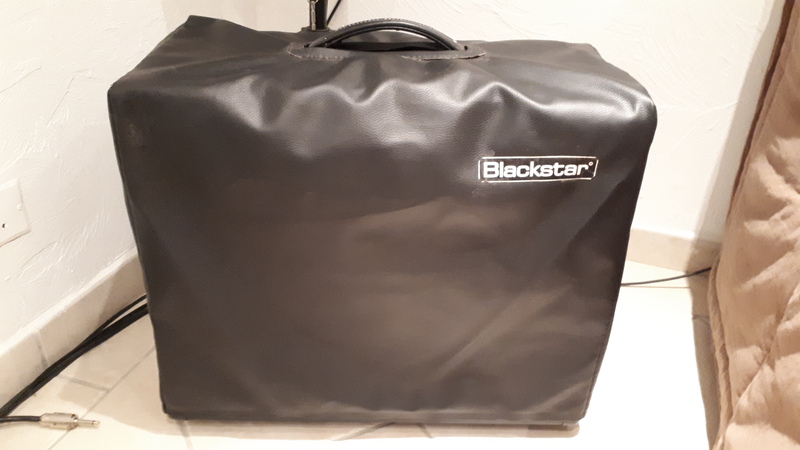 I tested many amps before this one and, to be honest, this brand didn't really seem to win, but in the end I bought it due to its value for money. As I said before, its value for money is simply insane. It's surprising that IMHO an amp like this is more convincing than a jcm amp, and it doesn't even cost $1000. With hindsight, I don't know if I would buy it again, I mean, I chose it because I wanted to change my solid-state sound and I love it...But if I were 40 and had some tours in sight, I think I'd get a Mesa....But until that day comes, I won't regret a thing! 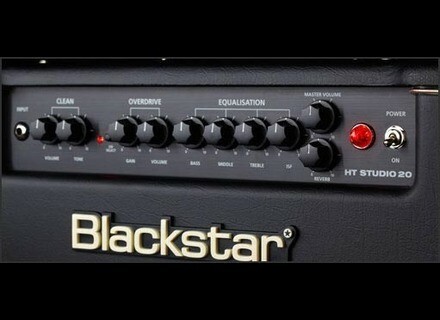 Blackstar Amplification announced the launch of the HT Venue Series.